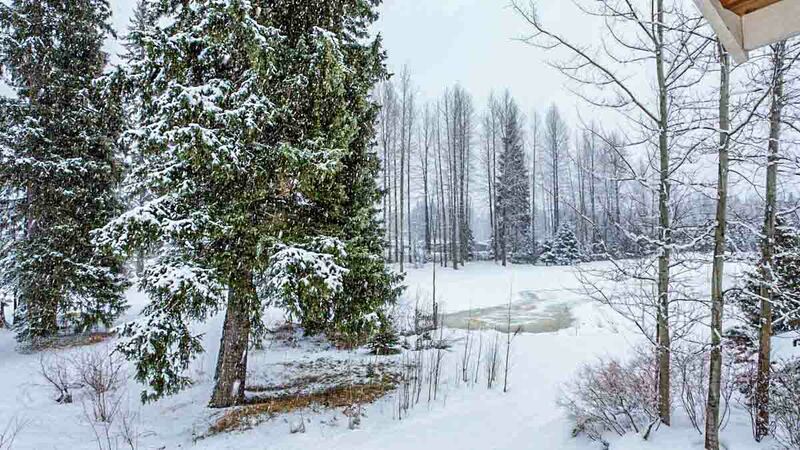 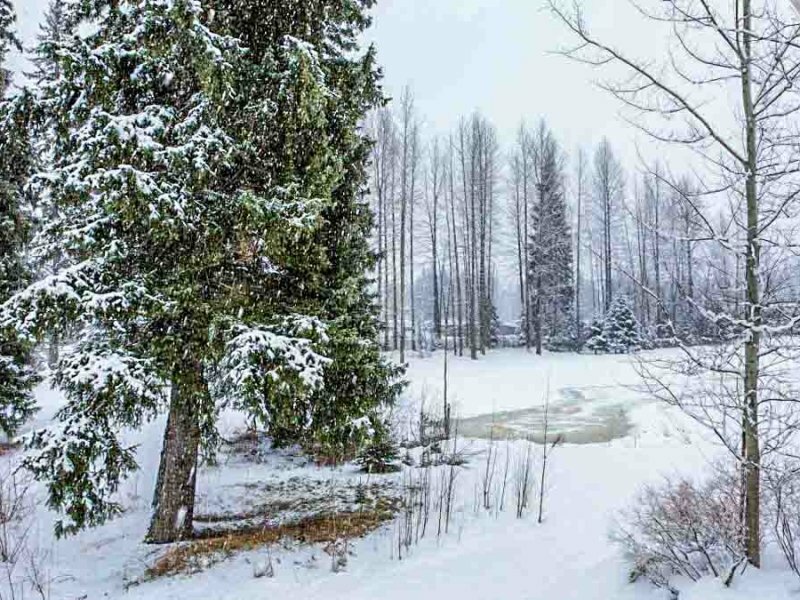 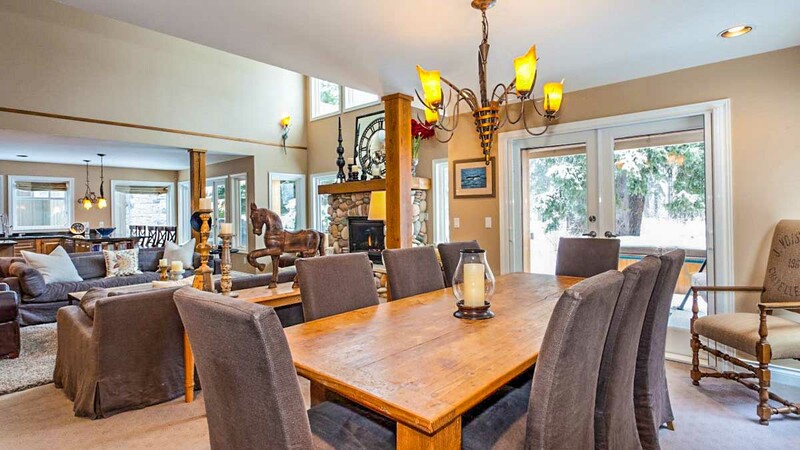 Fairview Chalet is a 5 bedroom, 4 bathroom 2 level home located on the picturesque 2nd green of Nicklaus North golf course. 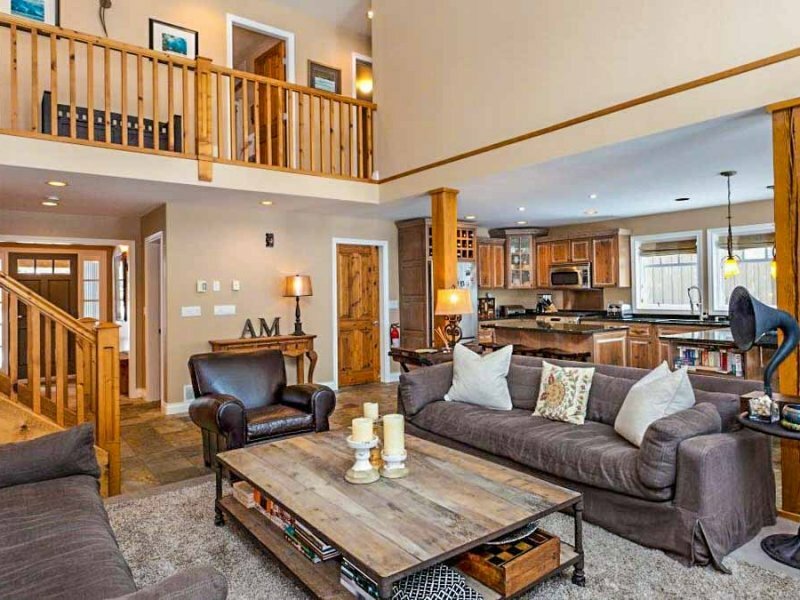 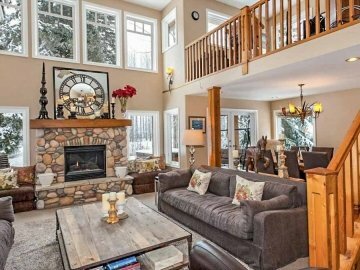 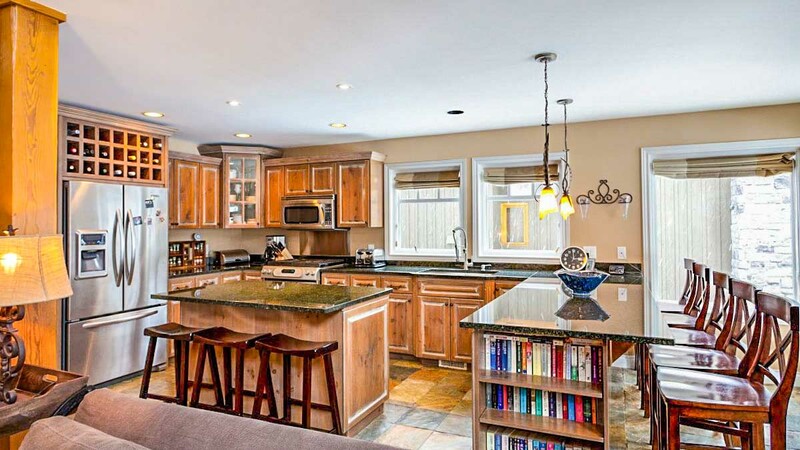 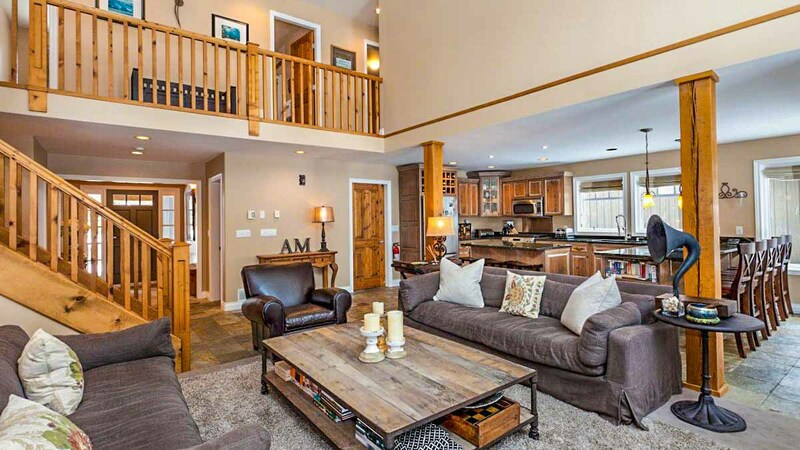 The home was designed to accommodate large groups and families with the open concept plan perfect for entertaining. 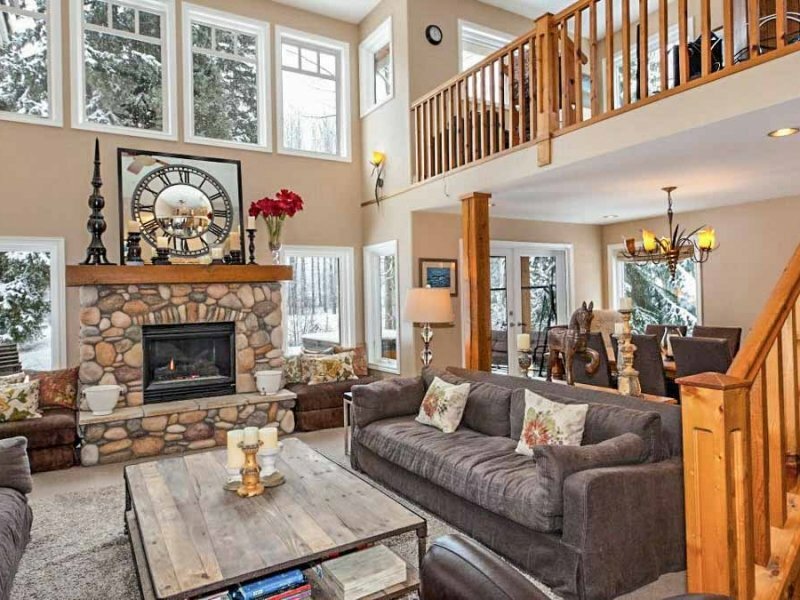 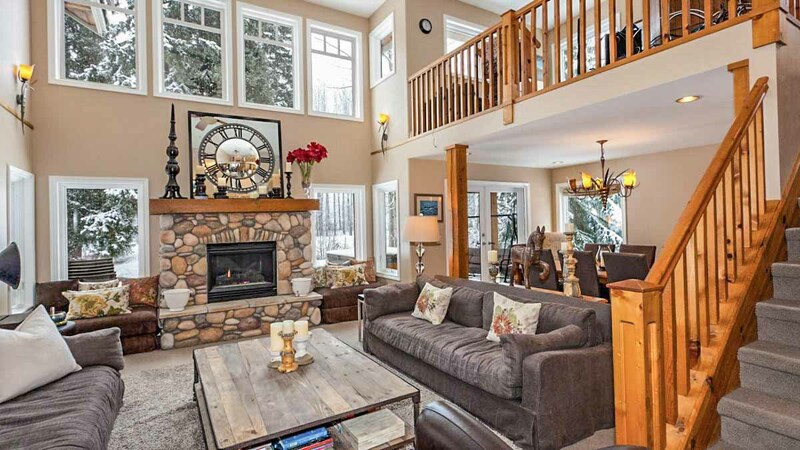 The main living area features a river rock fireplace and 18 foot ceilings. 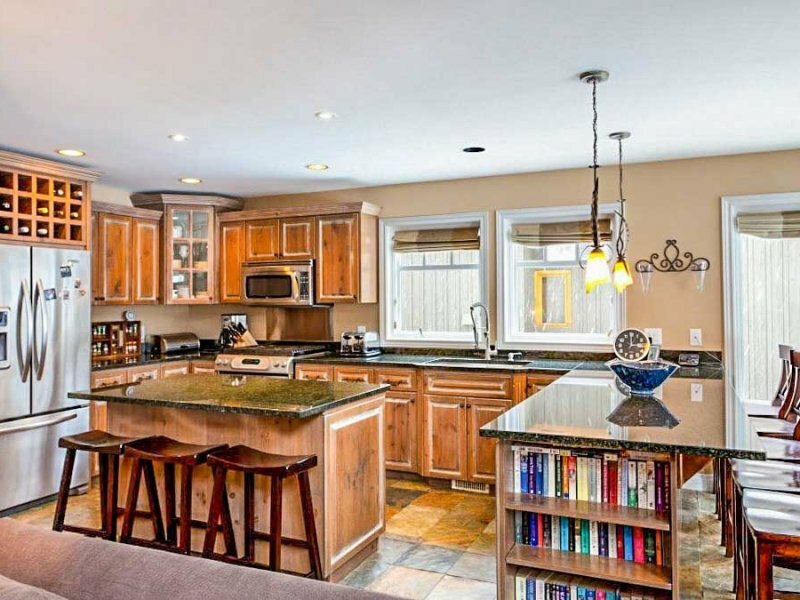 The modern kitchen features slate floors, stainless steel appliances and a large breakfast bar. 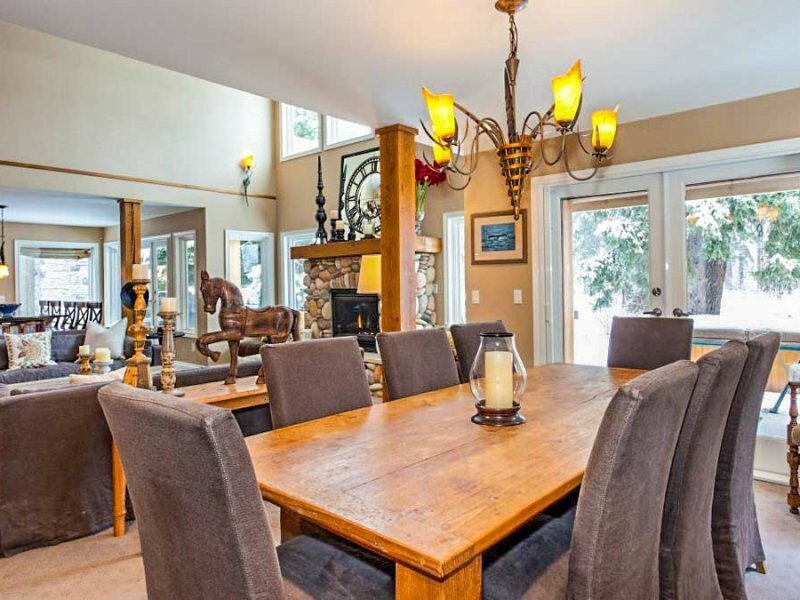 The dining area seats 8 comfortably with French doors leading to the back patio with a landscaped yard that offers great afternoon sun exposure. 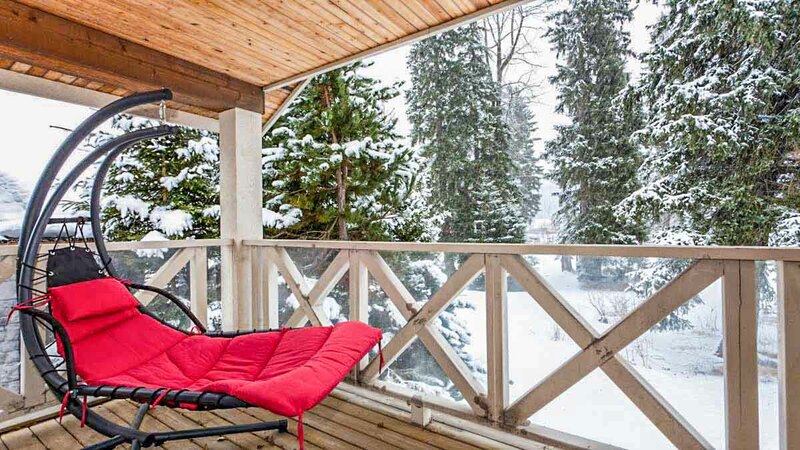 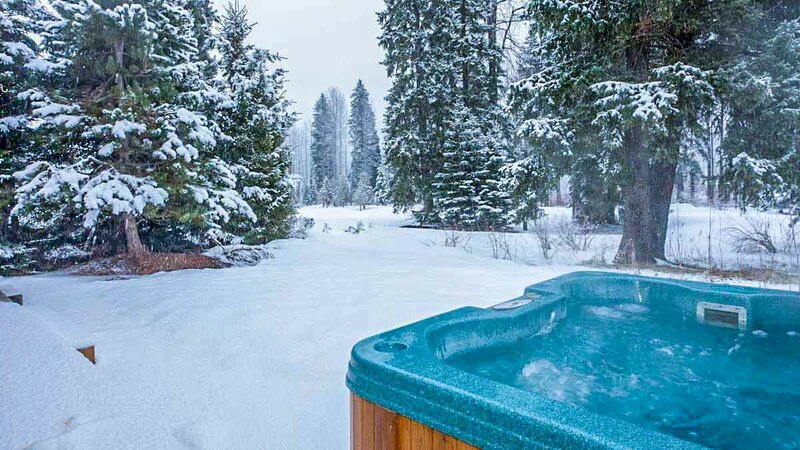 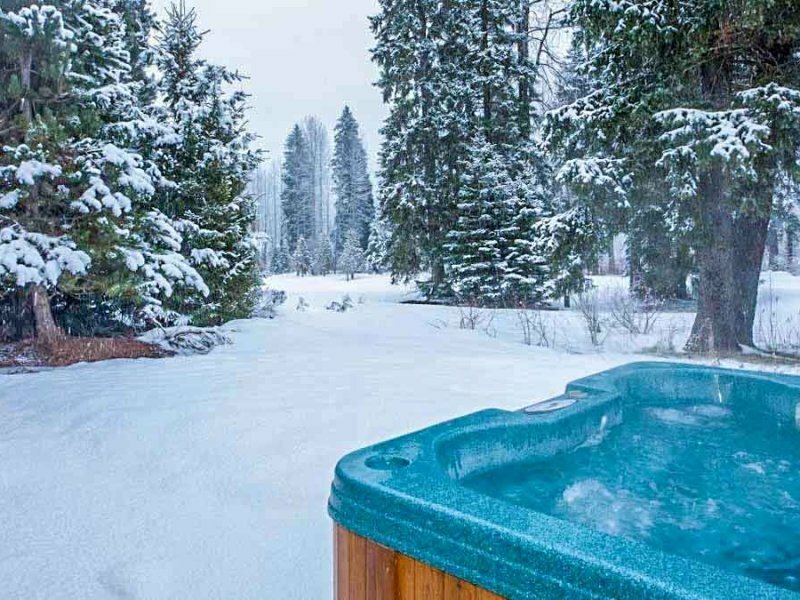 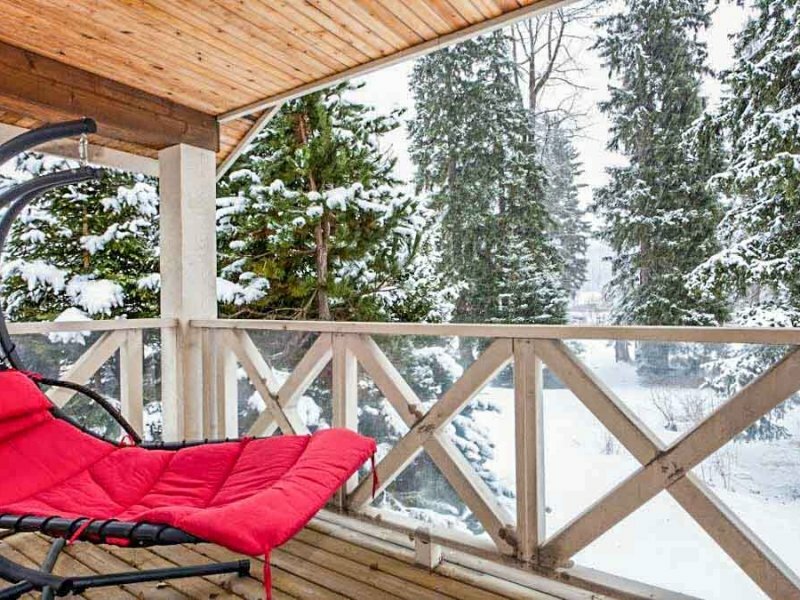 The hot tub is located on this patio and is the perfect way to relax after a round of golf or a day on the slopes. 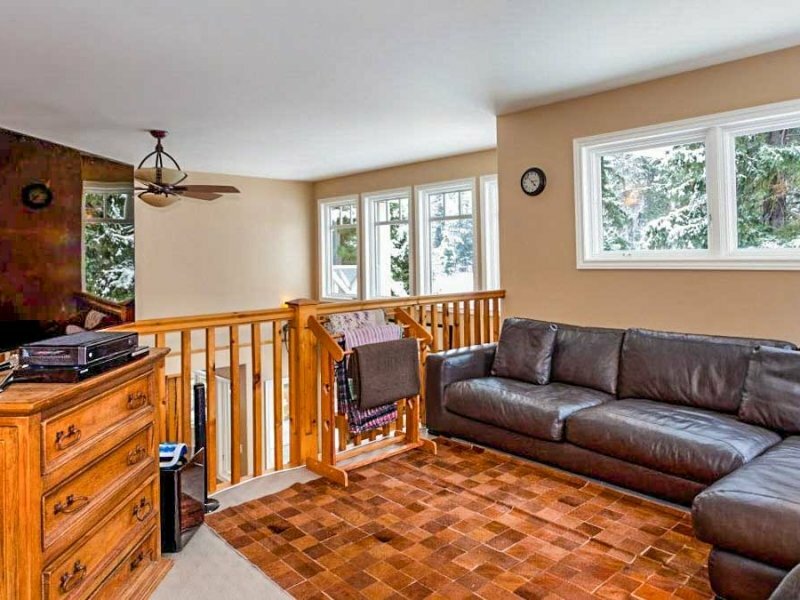 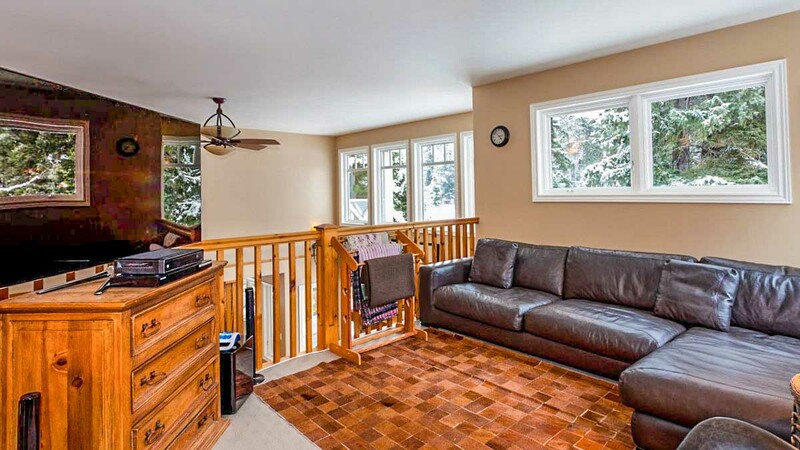 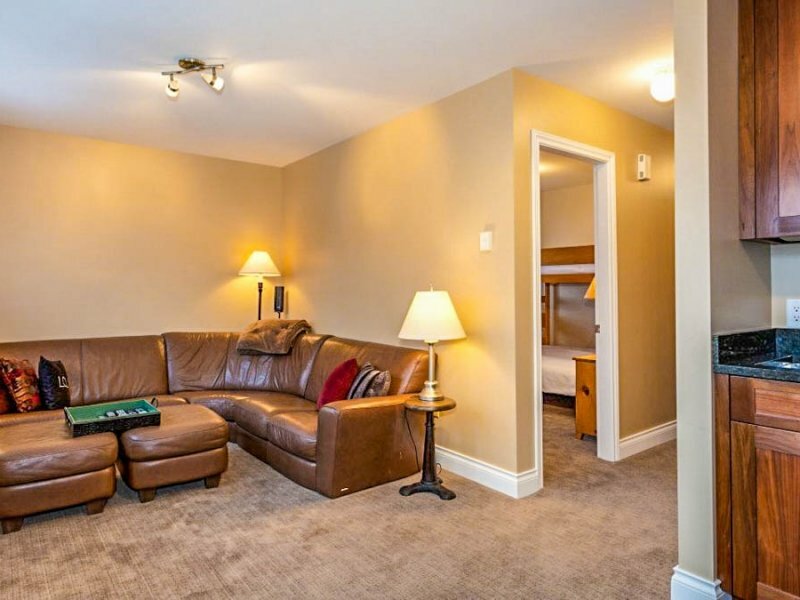 Upstairs overlooking the main living area is the family room with a large flat screen TV, Blu-Ray DVD player, Apple TV and comfortable sectional sofa. 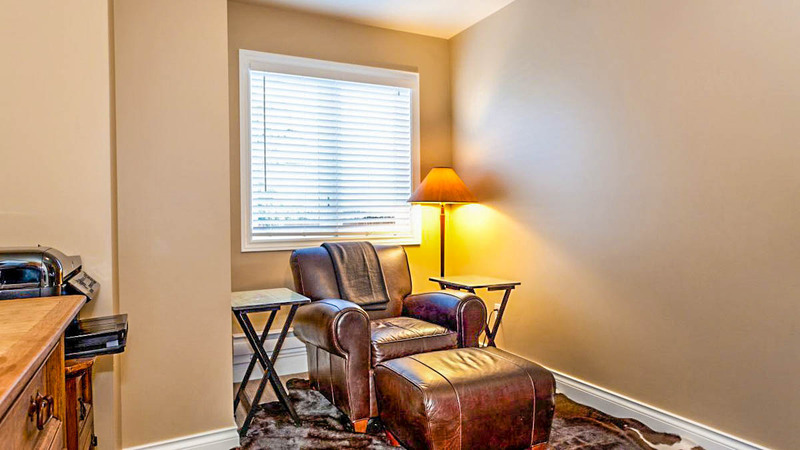 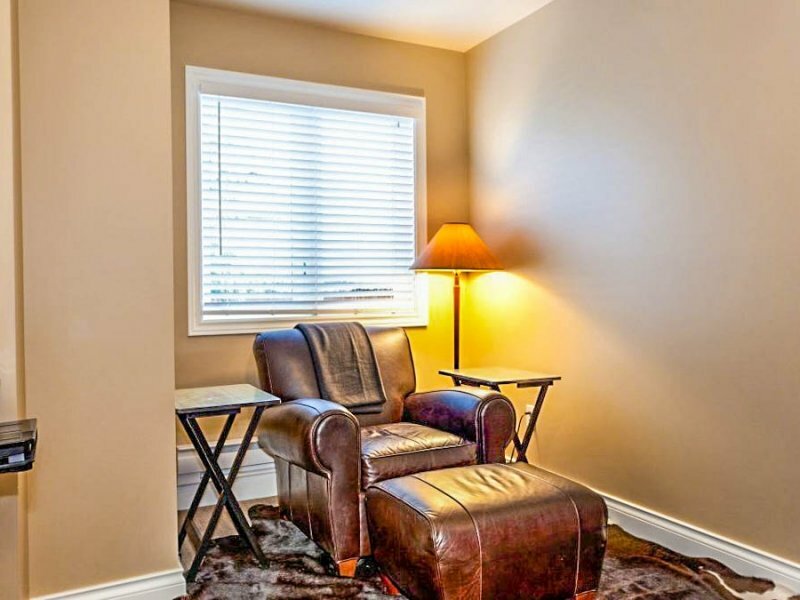 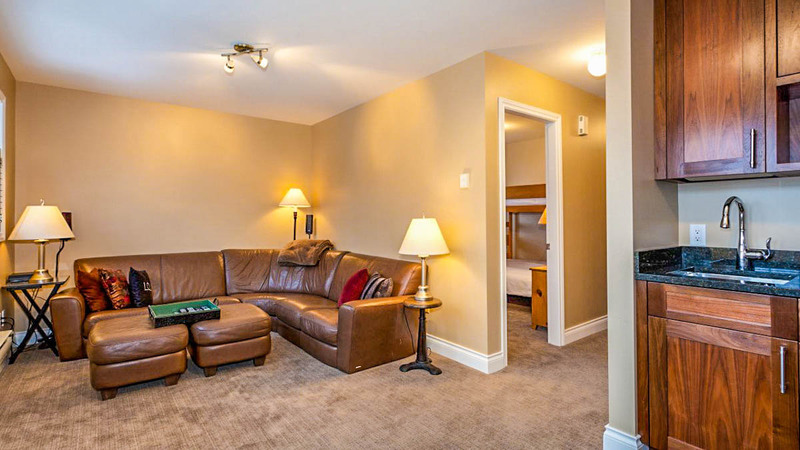 There is also another recreation room on the upper floor which offers a separate area for guests or family to relax in and features its own TV, Blu-Ray DVD player and wet bar and a cozy reading nook at the entryway. 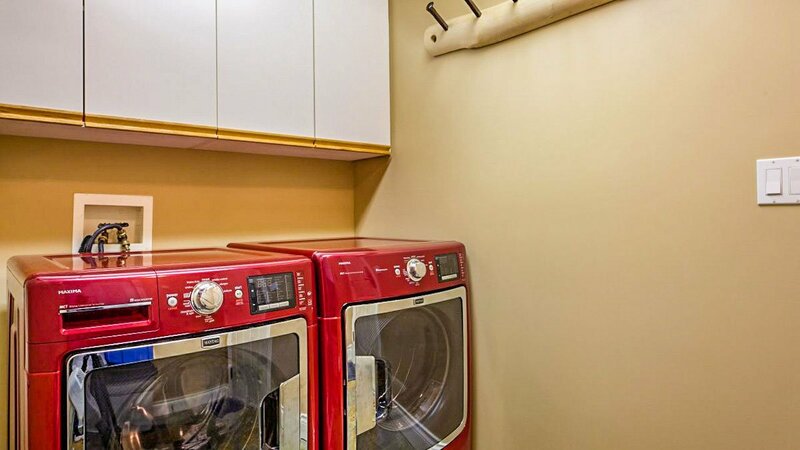 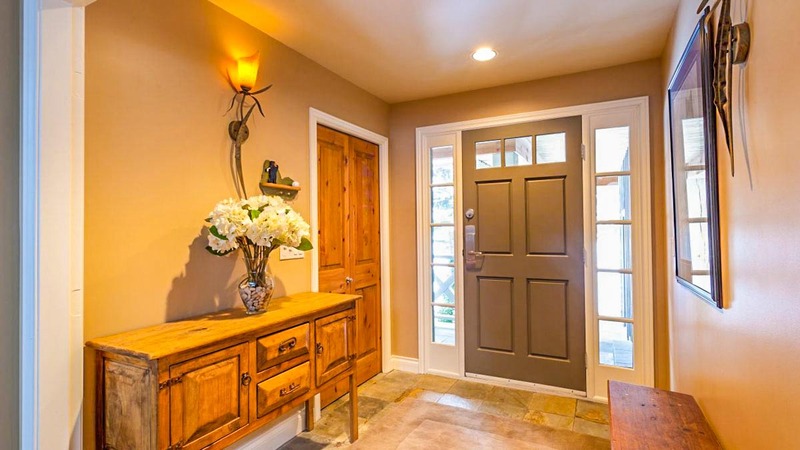 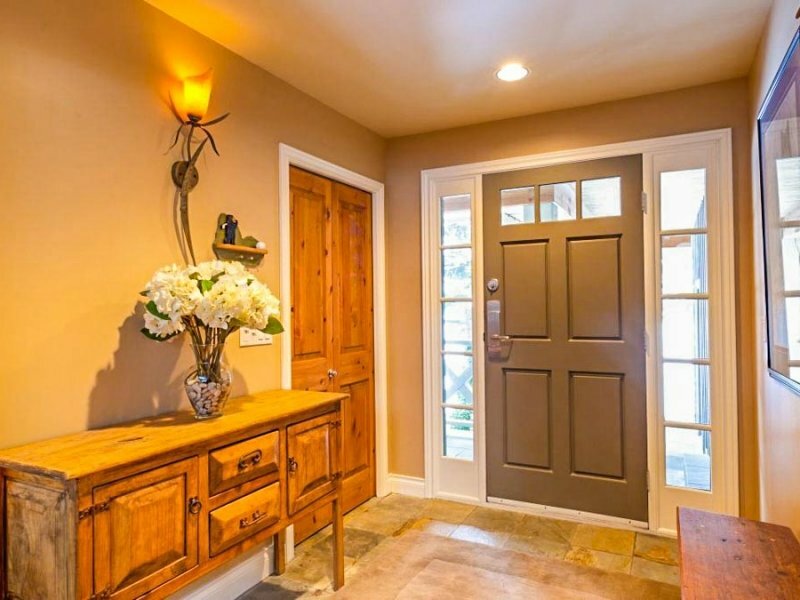 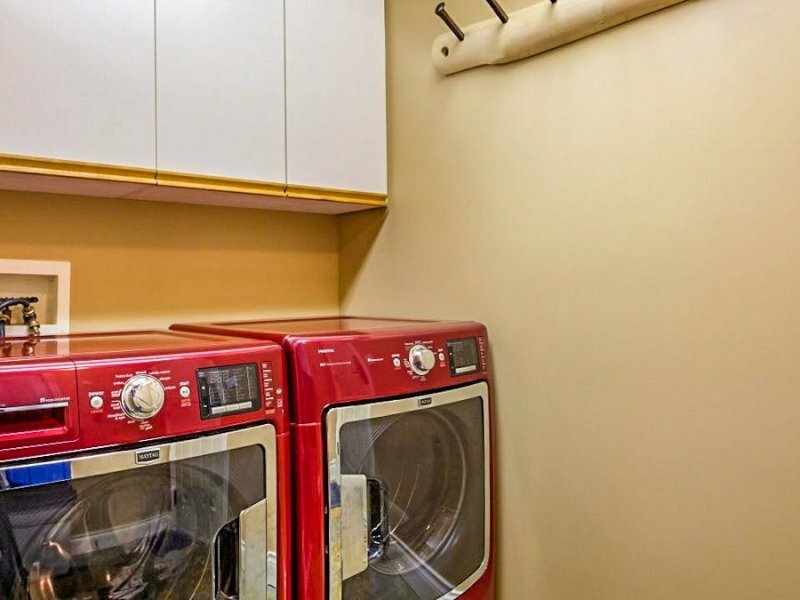 For added convenience, this home features a single car garage with extra storage for all your equipment and additional parking in the driveway, a spacious entranceway, a laundry room with washer and dryer and complimentary wireless internet. 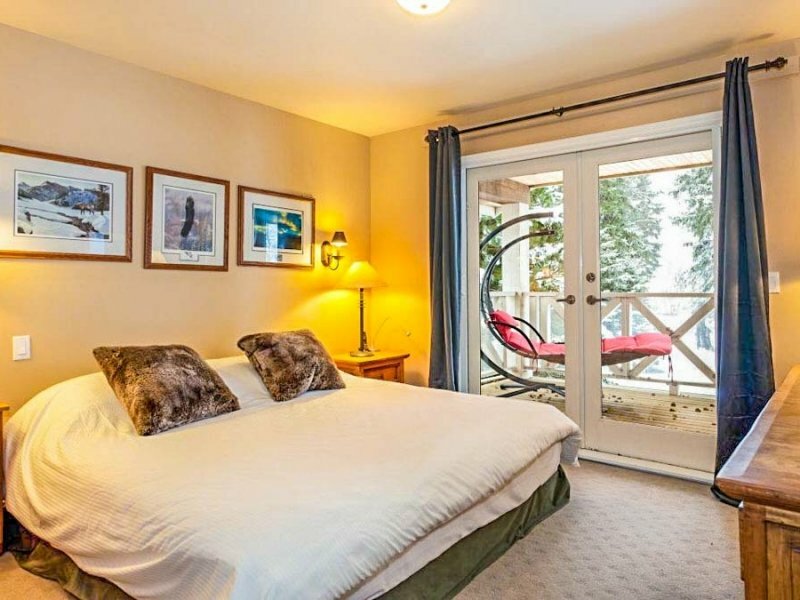 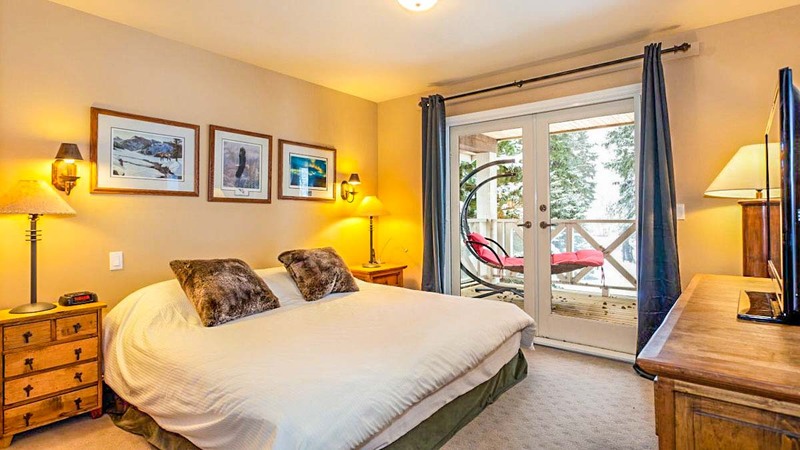 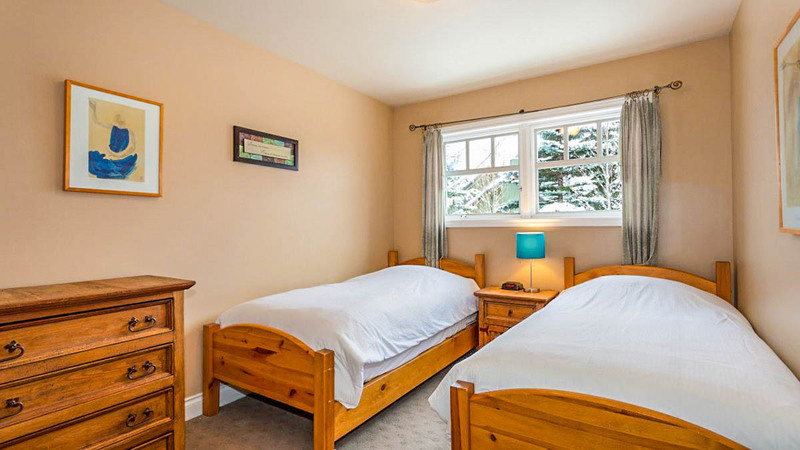 The master bedroom features a king bed, flat screen TV and French doors to a private deck overlooking the golf course. 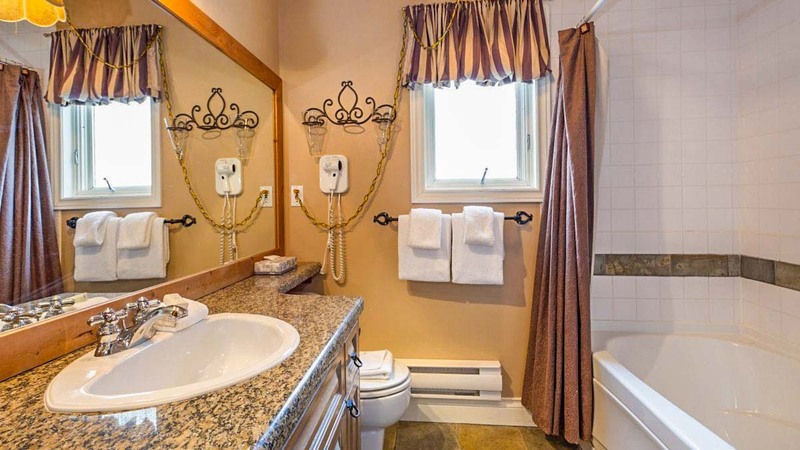 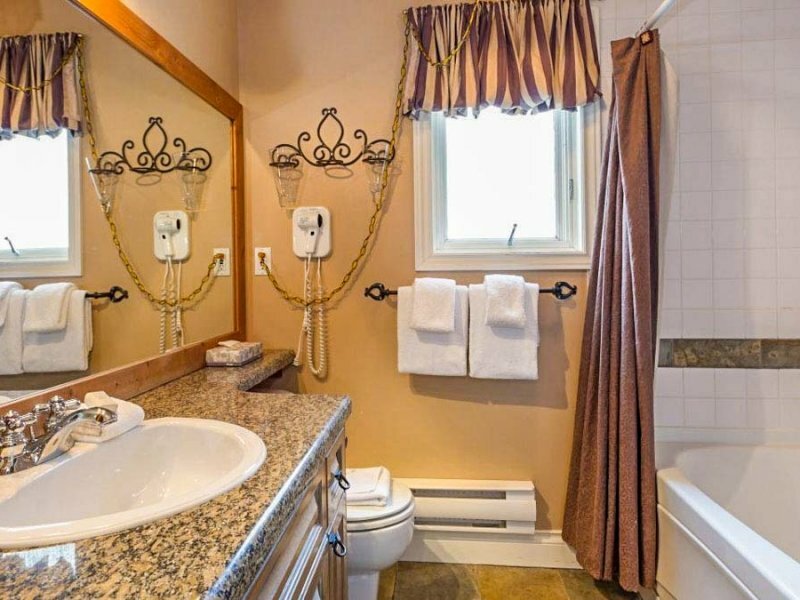 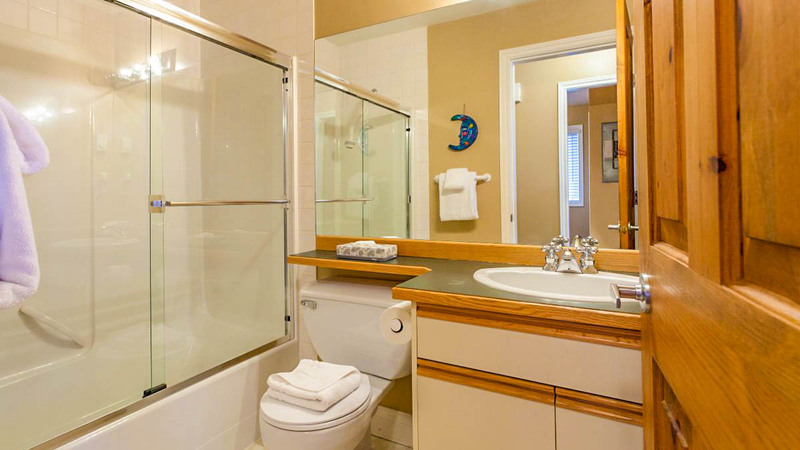 The ensuite features a deep soaking jetted tub and overhead shower. 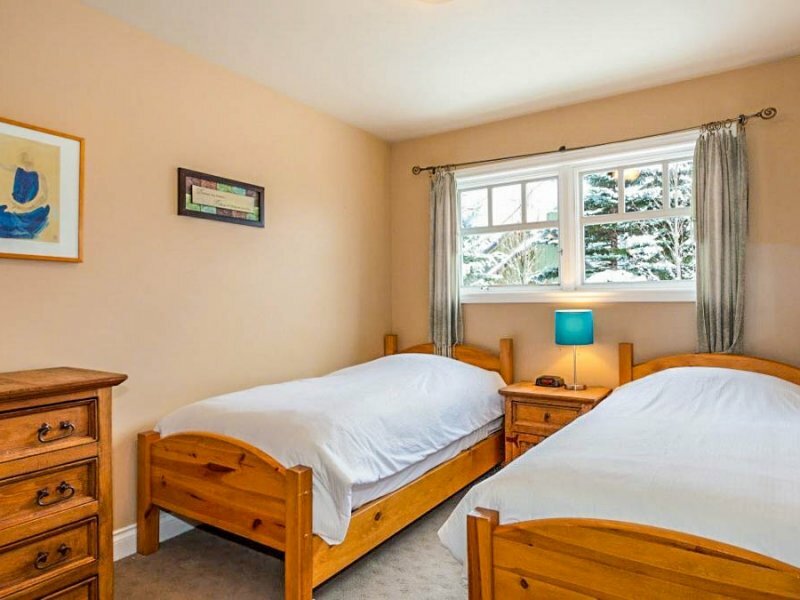 The second bedroom has a king split bed. 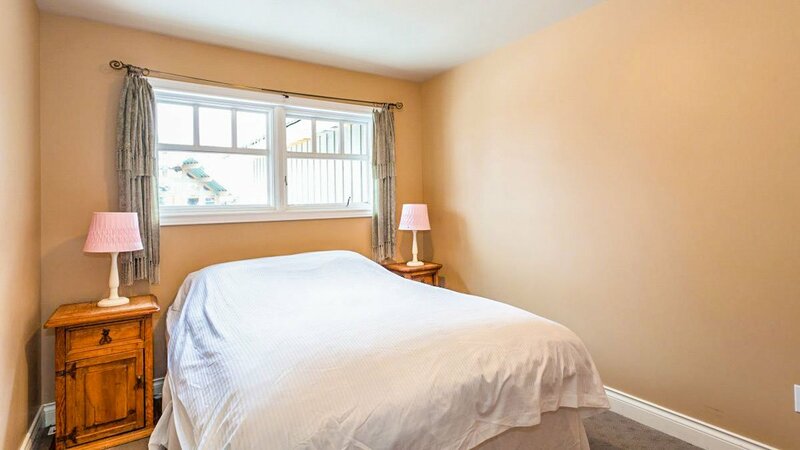 And the third bedroom has a double bed. 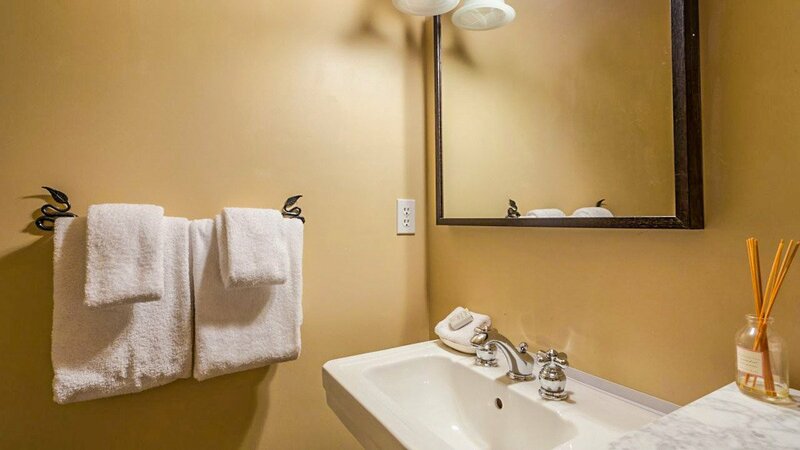 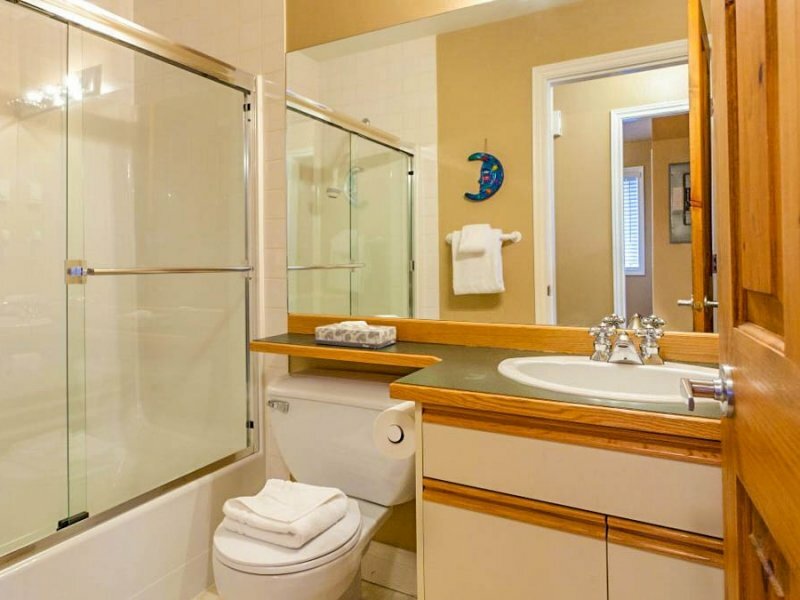 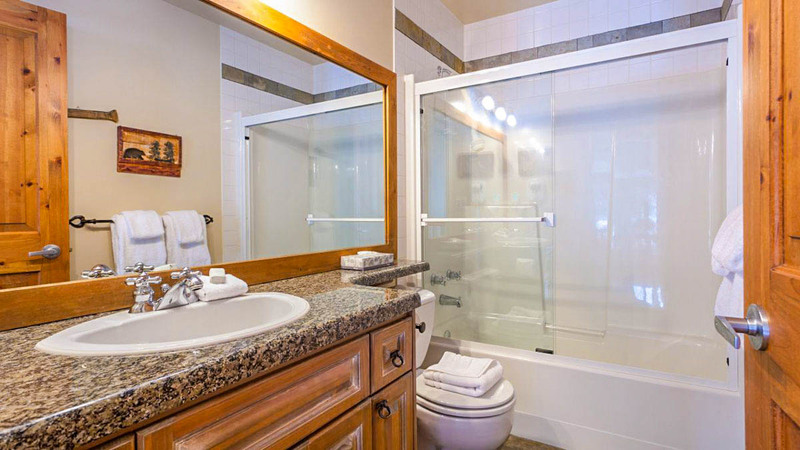 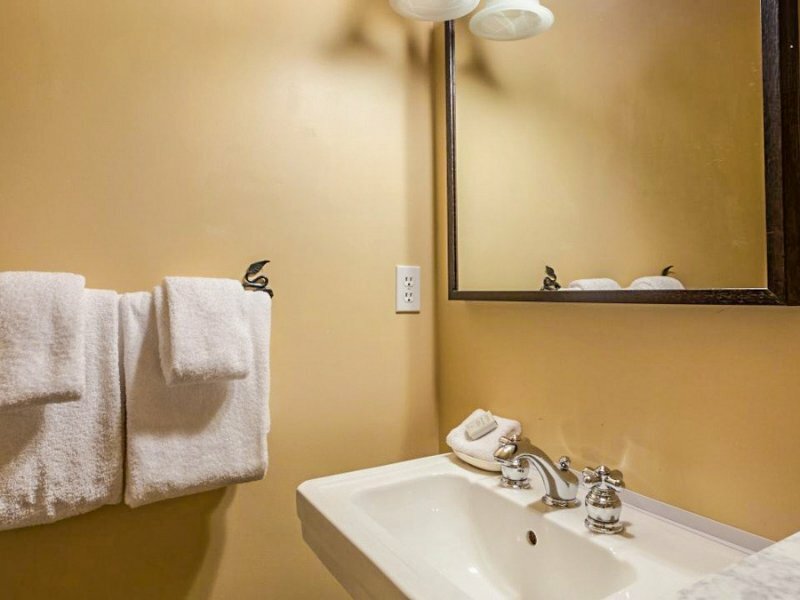 The separate second bathroom features a bathtub with overhead shower. 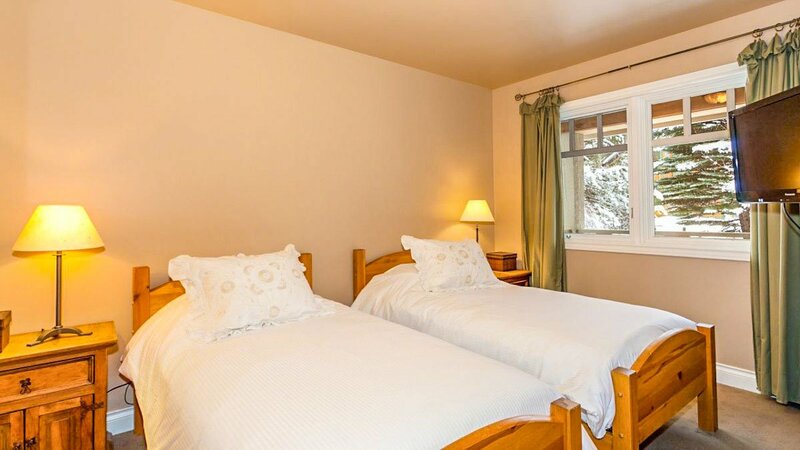 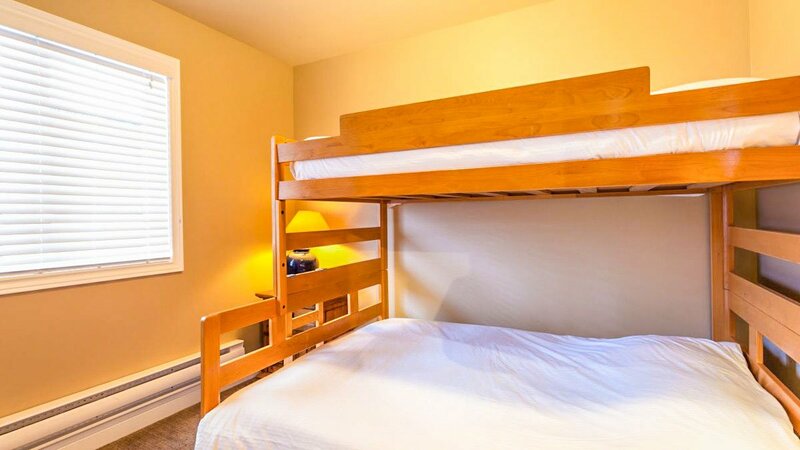 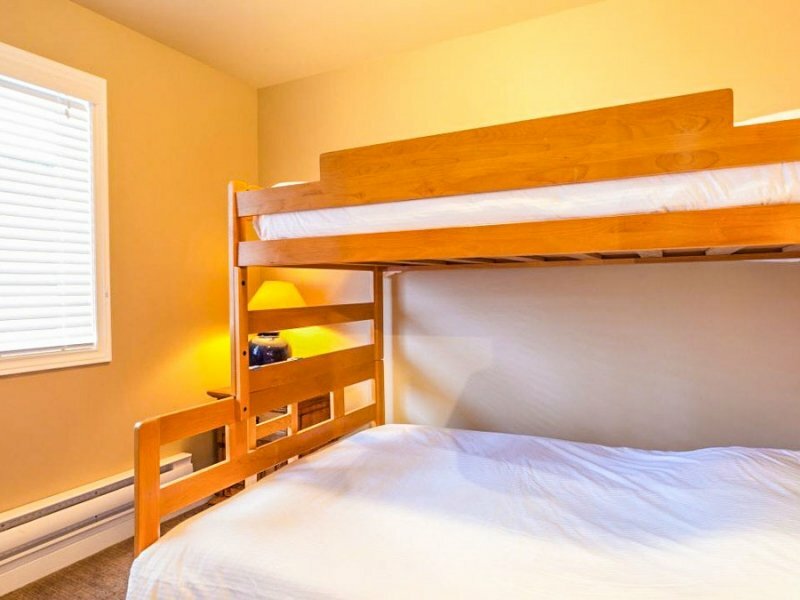 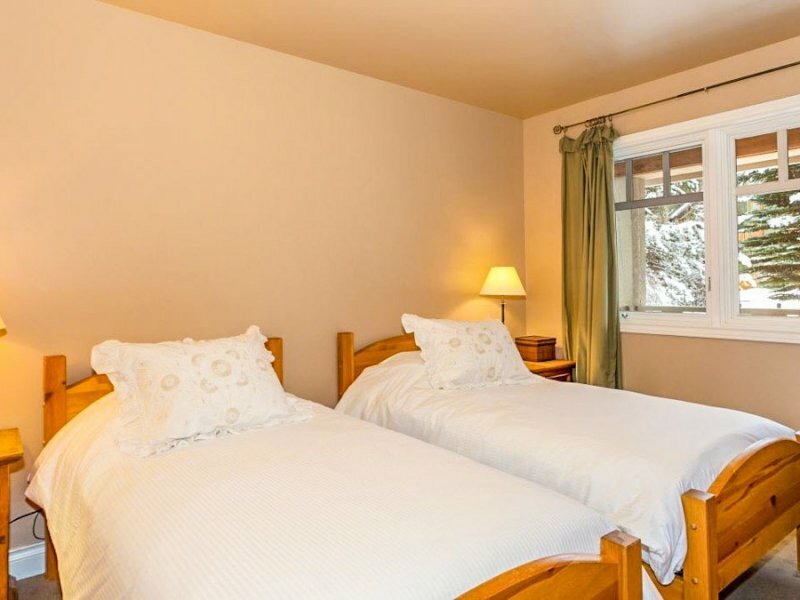 The fourth bedroom is located just off the second recreation room and features a tri-bunk bed and third bathroom with a bathtub and overhead shower. 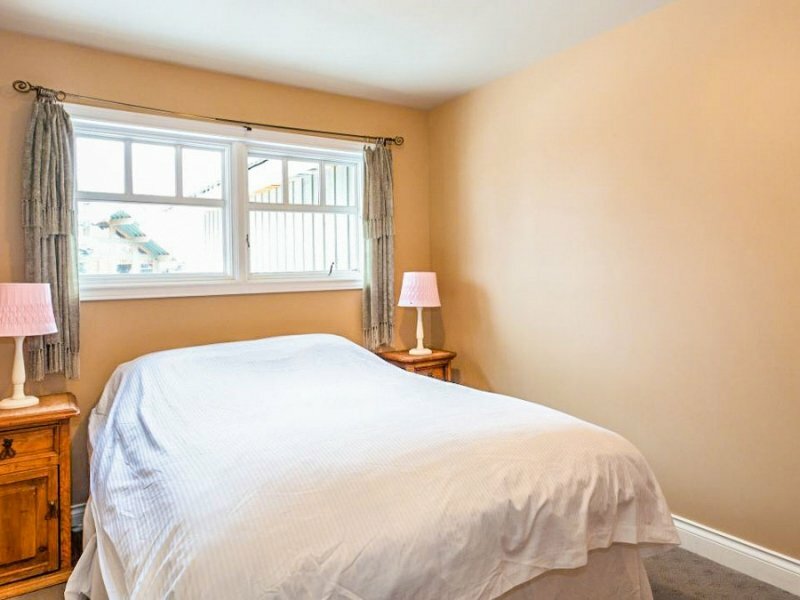 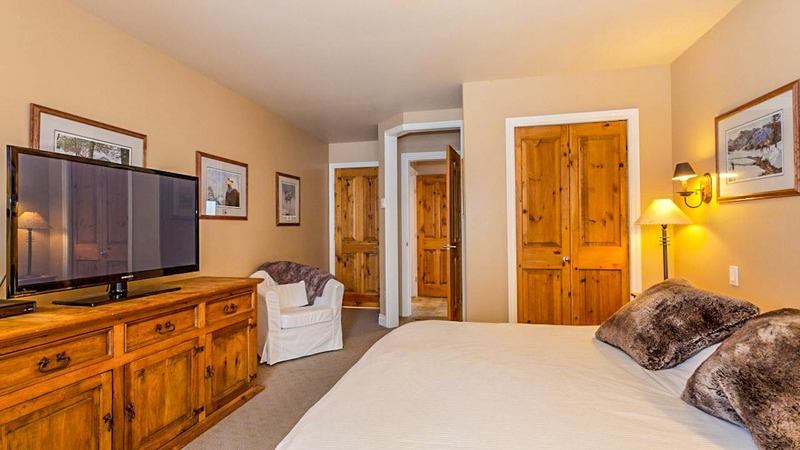 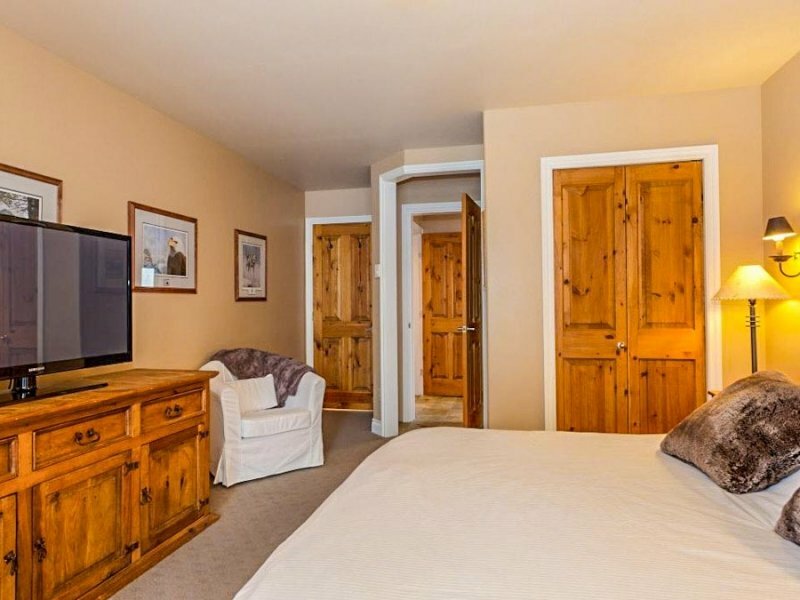 On the main level just off the entrance is the fifth bedroom which features a king split bed and small flat screen TV. 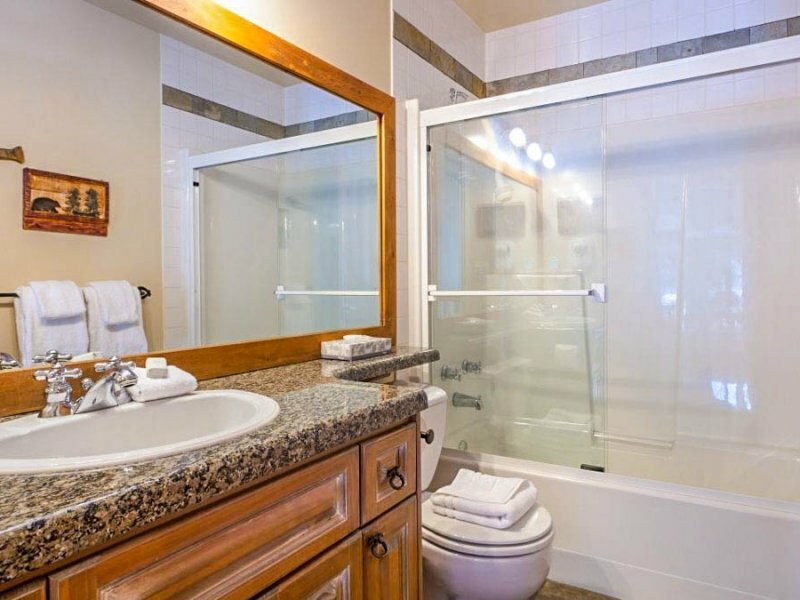 There is also a small bathroom on this main level with a glass enclosed shower.